FRANKFURT/DETROIT (Reuters) -- Opel's management will present a comprehensive turnaround plan to its board on Thursday that spans everything from model strategy through brand positioning to new export markets, while avoiding the delicate issue of job cuts in Germany. 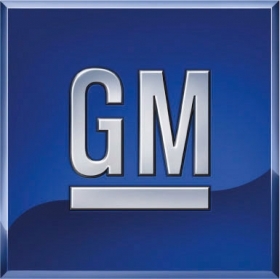 General Motors CEO Dan Akerson wants to stem the constant flow of red ink at Opel by shrinking its fixed-cost base and running each plant at maximum capacity on a three shift basis -- something analysts say is only possible if he closes at least one of the six car factories. As a result, the endangered Bochum site, which management wants to close in 2017, will not see any investment spending under the plan. GM is also expected to shift some production of Opels -- and possibly even Chevrolets -- to Europe from Korea in order to improve capacity utilization and appease local workers. Investors have grown impatient with Opel and its UK sister brand Vauxhall. GM has suffered underlying operating losses of roughly $3.5 billion over the past three years in Europe, where an ever-shrinking car market is expected to plumb new decade lows in 2012. Since delicate negotiations with unions over a fresh round of restructuring might not be completed before November, company officials have been dampening hopes that Thursday's board meeting might provide a catalyst for the stock. "What we've said -- I've said it and others have said it -- is you're going to see a continual series of actions over time," GM Chief Financial Officer and Opel board member Dan Ammann told Reuters on Monday. "As we have something to say, we'll say it." The market may be unhappy with a stock languishing far below its IPO price, but analysts argue time must be granted to an industry that operates with notoriously long investment cycles. "Increasingly, it would seem like the likelihood of a 'big bang' restructuring is low," said Jefferies analyst Peter Nesvold in a research note. "While we understand shareholders' frustrations, we actually think that GM is doing the prudent thing for long-term survival -- although the glacial pace of restructuring, particularly in Europe, keeps us out of the shares." To reduce labor costs, managers hope to start replacing any departing workers on their permanent staff with temporary labor and shifting some people not employed on the assembly lines into other, less well compensated wage contracts. "Opel has made mistakes that others have not. It pays virtually everyone that has anything remotely to do with car production the same wages for auto industry workers, even if its logistics employees, security guards or those working in related supply services," said one person close to the talks with Opel's labor representatives. "Volkswagen, BMW, Daimler and others have long since abandoned this practice. While we don't want to take anything away from those already earning these wages, we do need to start thinking about lowering wage costs for industrial services below that which an assembly line worker makes." When asked whether unions would enter the meeting on Thursday expecting to veto the turnaround plan, one union representative on the board dismissed speculation that interests were misaligned. "Definitely not. We need to have certainty for the future and the company has to be able to map out its future so we both want the same thing," the person said. Strident opposition from unions have, however, forced Opel to take a two-track approach to its restructuring -- putting the plan to a vote while negotiating separately over staff cuts in Germany that likely would only take effect after the last year of the plan. Opel has said it is willing to discuss ruling out layoffs for the 20,800 German jobs through 2016 in exchange for fresh wage concessions and union approval to close the Bochum plant at the start of 2017. While additional cuts to labor costs for the last two years of the plan will likely be included in the business plan, the issue remains unresolved until negotiations with trade union IG Metall are concluded before November. Under the existing business plan that lasts through 2014, wage concessions of 265 million euros per year were already earmarked, two-thirds of which stem from its German staff. In exchange Opel pledged to invest 11 billion euros to expand the product range. A regional union boss responsible for three of the four German Opel plants said labor would not enter the talks with a rose-colored view of the economy, suggesting the two sides can agree at least on fundamental market assumptions. "IG Metall expects a further difficult, recessionary phase that will impact the entire European auto industry," Armin Schild said today. "We should count on the northern European car markets being affected more than they have so far." Earlier today, consultants AlixPartners forecast the western European new car market would not likely grow next year and only return to its stable, pre-crisis level in the year 2020. "We don't have a better crystal ball than anybody else," Ammann said. "We have to be prepared for a whole range of different scenarios." Schild also signaled flexibility on the issue of exporting European-built cars to overseas markets. Management has sought to placate labor by exporting a modest number of vehicles to largely symbolic markets like Chile, Israel and Australia. "I don't see huge prospects for building cars in Germany for sale overseas. This is a necessary measure of flexibility to support plant utilization, but the battle for the future of Opel will be won in Europe," said Schild.